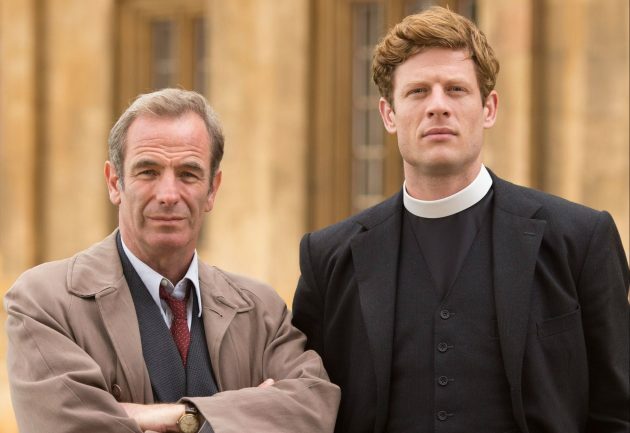 ITVs detective drama Grantchester has built an army of dedicated viewers since it first aired in 2014. But now Sunday nights are about to change forever for those loyal fans. A fourth series of the show has just been confirmed by ITV – however, the broadcaster also announced that it will be star James Nortons last. The actor, who has been tipped as a contender to play James Bond, has played charismatic, crime-fighting clergyman Sidney Chambers since the series – based on the novels by James Runcie – began. He co-stars alongside Robson Green who plays his sidekick, Detective Inspector Geordie Keating, and the pair have previously been praised for their brilliant chemistry. Grantchester executive producer Rebecca Eaton acknowledged that the news was bittersweet and that Nortons fans would likely be crushed by his departure. She said, “Its a bittersweet time for Grantchester fans, who will be cheering the return of the series but crushed to say goodbye to James. Devastated fans were quick to react to the news online, proclaiming that the show wouldnt be the same without Nortons character – and hoping that his departure would leave the door open for a possible return. One Twitter user wrote, Great news, cant wait. It wont be the same without James Norton when he leaves though. I hope they dont kill Sydney off!!!! Another speculated that Nortons departure could signal the end of the show, writing, Great news about a season 4, but this show is all about Sidney and Geordie and their chemistry. Replacing Sidney will kill it. A third posted, Mixed feelings about it continuing without Sidney, but hope he gets a happy ending! Filming of the new series is set to start in June in London, Cambridge and – of course – Grantchester. The casting of the new vicar arriving in the hamlet will be announced shortly, ITV said. We wonder who will fill the James-shaped hole the end of series four will bring? The post Crushed Grantchester fans react following sad James Norton news appeared first on Woman Magazine.